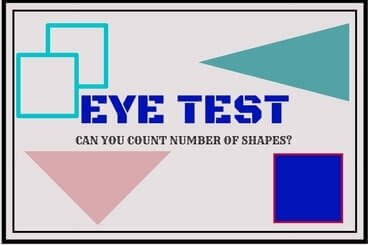 Do you have good eye sight? Do you also have good observational skills. If answer of any of these two question is yes, then its time to test not only your eye sight but also your visual and observational skills. Here are many different visual picture puzzles in which your challenge is to count the number of lines, triangles, squares or other Geometrical shapes. Below is the list of these shapes counting puzzles which you can find on Fun With Puzzles website.